Like teenagers across Japan, my eldest son is taking high school entrance exams. Earlier today, my wife returned from our local supermarket in Osaka with a bag of Kit Kats. The snacks are for more than eating. They’re for good luck. Students taking exams are given kitto katsu Kit Kats as omamori (お守り) or amulets. 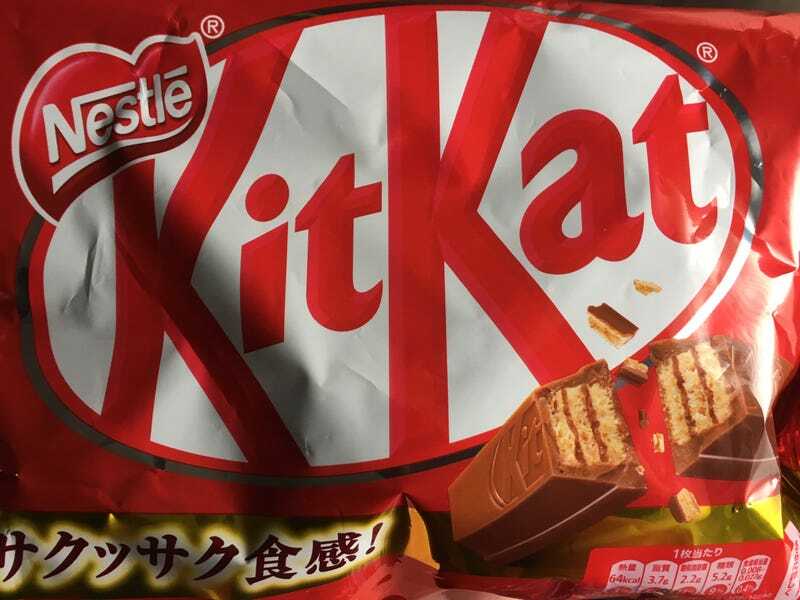 According to the official Japanese Kit Kat site, the snack’s fortuitous associations began in Kyushu, where the local expression “Kitto katsutoo” (きっと勝つとぉ or “You’ll surely win!”) sounds somewhat like Kit Kat. The term kitto katsu spread nationwide by 2002. Today, one in three Japanese students purchases Kit Kats before an entrance examination. One in five reportedly brings Kit Kats to where they take the test! Parents will also write messages directly on the wrappers, wishing their kids well. Some Japanese Kit Kats even have a special space for writing messages as pictured above. Good luck to all the students (and parents) in Japan with kids taking tests. Kitto katsu!